All Mercedes-Benz SUVs, even the compact GLA and GLC, offer at least one trim with standard 4MATIC®. Perfect for Ontario’s rugged terrain and weather conditions, this advanced system sends torque to the wheels that need it most, even if it’s just one wheel. Compared to similar systems of its kind, 4MATIC® is lighter, more efficient, and more compact. Couple this powerful technology with a Mercedes-Benz SUV, and you have a go-anywhere, do-anything vehicle. Contact us to schedule a test drive with one of our new AWD SUVs! We’re not far from Hamilton and Milton, ON. Every drivetrain offers its own set of advantages, but how do you know if AWD is right for you? That’s easy! Compared to FWD, AWD tends be a heavier system, but it allocates power to all four wheels instead of two, giving your vehicle enhanced stability. The same goes for RWD; it tends to offer better balance than FWD, but can’t compete with the precision of AWD. Don’t forget to browse our current offers for the chance to save on one of our new AWD SUVs. To move the process along, you can also apply for financing online! 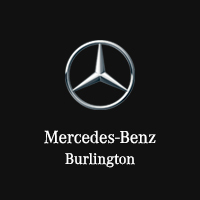 You can also learn about which Mercedes-Benz SUV gets the best gas mileage!